In 1884, Alan White’s great-grandfather purchased a 200-acre farm on the Carrabassett River. From the beginning, the farm was a family affair. Six children (one of them Alan’s grandfather) were born and raised on the farm, and although they all went off to college, everyone came back to spend summers on the farm. Many became teachers or professors, and kept returning throughout their lives. It was a gathering place. Alan’s grandfather continued the tradition, bringing his family to the farm in the summer, and his mother spent the warm months there too. Alan remembers his time spent fishing in the area with his cousins, being drafted to move firewood into the barn after his grandfather retired, and all the family gatherings and memories that were created on the property. Gradually, however, the family dispersed, the older generation passed on and kids moved away. The farm was split apart, parceled out to the remaining family members, and some pieces were sold when there was no one to take care of it. Without kids who wanted to maintain the land and keep it in the family, Alan decided on the next best thing: an easement to ensure that the property would remain in agriculture. 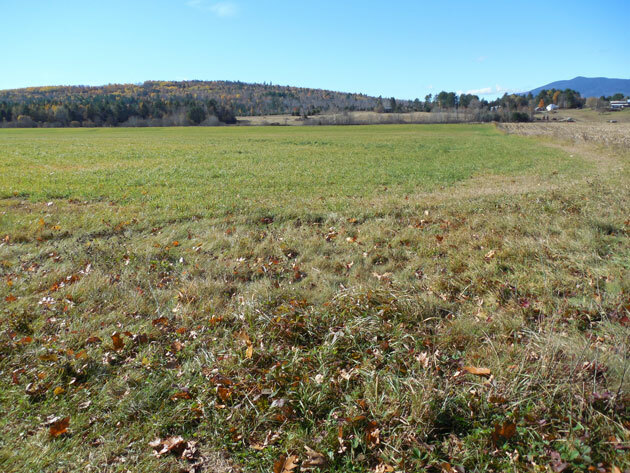 He contacted Maine Farmland Trust last summer to begin discussing options, and had the foresight to let the buyer negotiate the terms of the easement, since they would be the ones working the land. He was glad to still be part of the process, however, and (as a forestry professor at UMaine) even made some recommendations about forestry in the easement terms. On October 30, 2015, the remaining 71-acres of farmland owned by the White family was sold to to Lowell Piper, who runs a large dairy operation nearby, and will keep farming the land with his partners at Piper Farms. The farm couldn’t remain in the family. But it could keep being a farm, and for Alan White, that’s a good second.